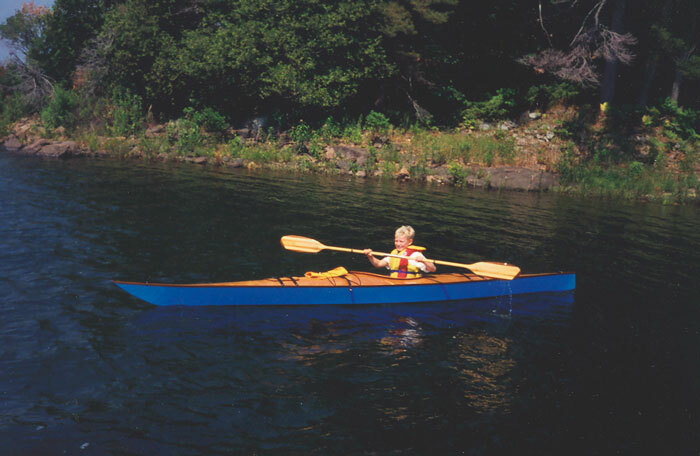 Michael Henderson of Gloucester, Ontario built SHUSHUGAH from a Sea Wolf Kit designed by Ray Folland Kayaks. She is built of plywood and epoxy using the stitch-and-glue method. He launched her at Go Home Bay on July 4, 2002. The name SHUSHUGAH comes from the first stanza of Longfellow's poem 'Hiawatha.' Contact Michael at 2645 Innes Road, Gloucester, Ontario K1B 3J7.